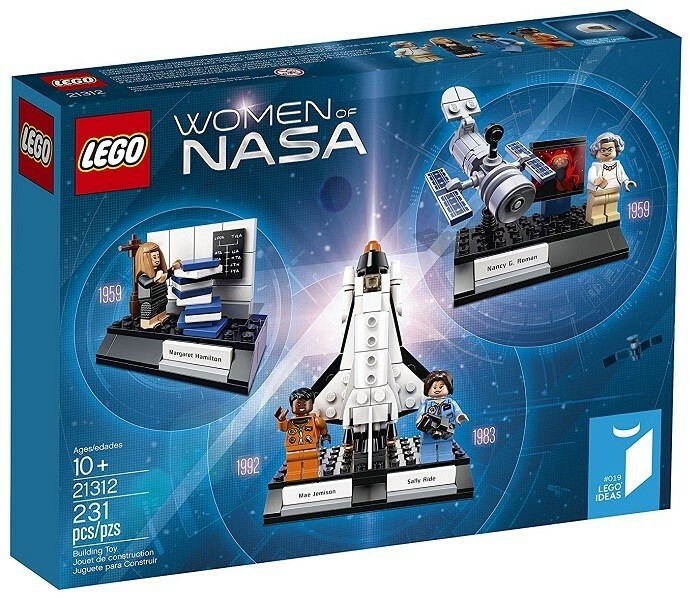 Explore the professions of some of the groundbreaking women in science, technology, engineering and mathematics (STEM) with the 231-piece LEGO Women of NASA Building Set. 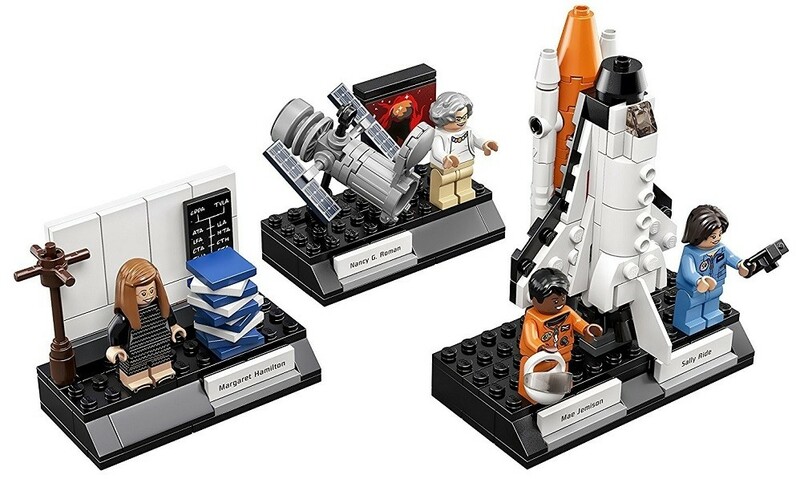 It features minifigures of 4 pioneering women of NASA -- astronomer and educator Nancy Grace Roman; computer scientist Margaret Hamilton; astronaut and physicist Sally Ride; and astronaut, physician and engineer Mae Jemison -- and 3 builds illustrating their areas of expertise. Role-play space exploration from planning to moon landing, beginning with the iconic scene from Massachusetts Institute of Technology in 1969 of Hamilton with her Apollo Guidance Computer (AGC) onboard flight software source code. 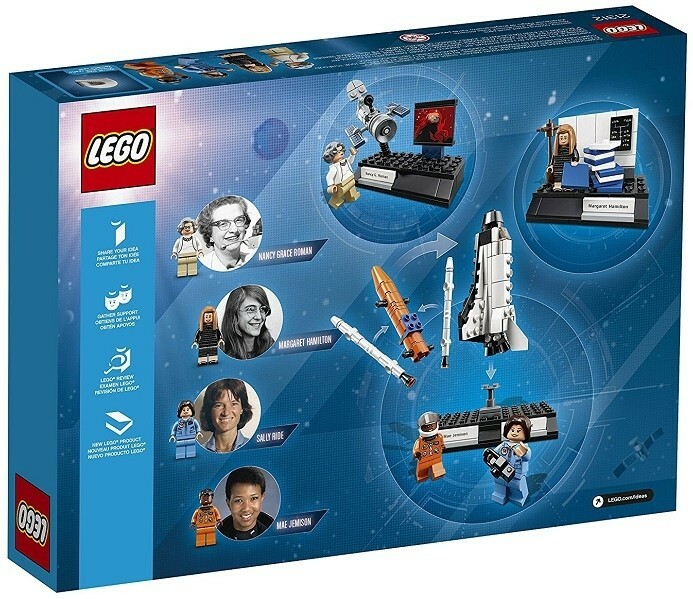 Build the posable Hubble Space Telescope with Roman and launch a LEGO version of the Space Shuttle Challenger with 3 removable rocket stages with Ride and Jemison. 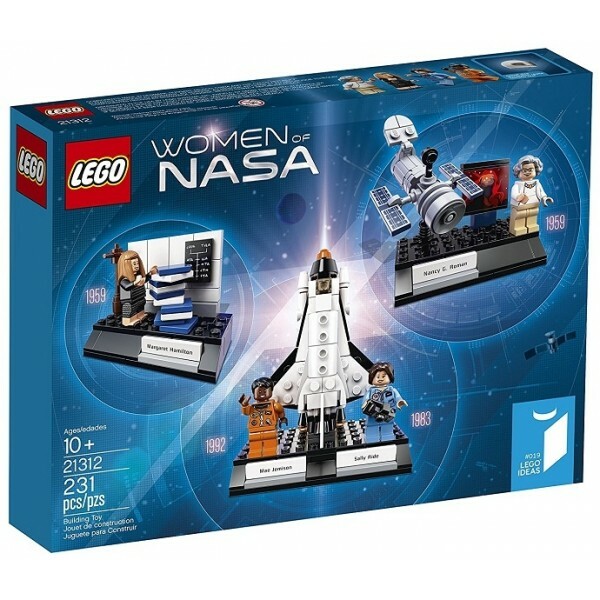 The set also includes a booklet with building instructions and information about the four featured women of NASA.